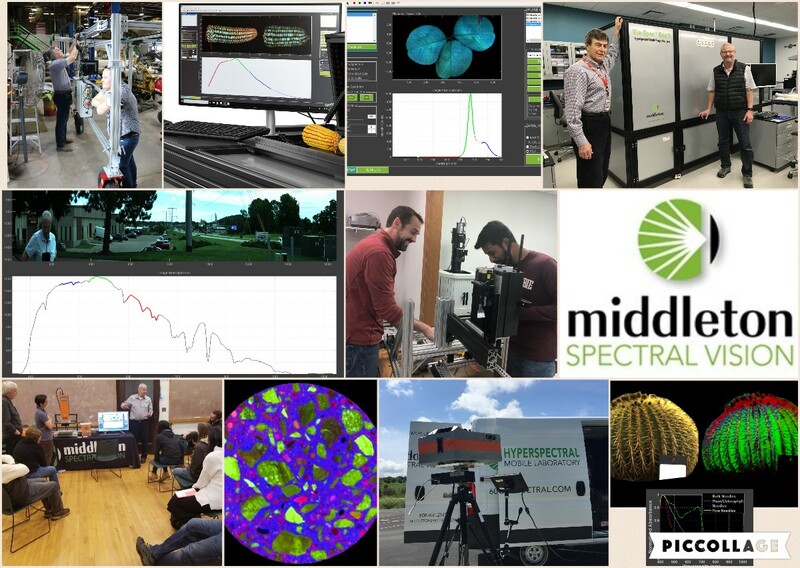 Middleton Spectral Vision is an innovative company specializing in hyperspectral imaging and spectroscopy. We have a dedicated design team that can help customers develop hyperspectral-based solutions to solve complex problems for research and industry. We serve a variety of markets including Plant Science, Pharmaceutical, Geology and Minerals, Enhanced Machine Vision (AI) Fluorescence (Life Sciences), Remote Sensing and more. Founded in 2008, Middleton Spectral Vision is an established supplier of high performance hyperspectral imaging systems. We have a talented engineering team with strong capabilities. We have experience in applying hyperspectral imaging solutions in industrial and research applications. Middleton Spectral Vision offers customers a variety of services and solutions. These include turnkey hyperspectral systems, hyperspectral cameras and spectrographs, sample feasibility analysis studies and custom hyperspectral imaging solutions. Our hyperspectral solutions are built around SPECIM Ltd products of Finland. SPECIM is a worldwide market leader in spectral cameras, spectrographs and other hyperspectral imaging technologies. We are located in Middleton, WI and share a border with Madison, WI, the home of the University of Wisconsin. The Madison area is a well-known technology hub which includes a number of scientific instrument manufacturers.